I received exactly what was ordered in a timely manner. I appreciate the accuracy of my order and the emailed invoice. 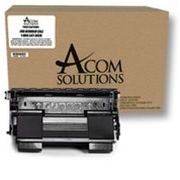 Acom makes it quick and simple to order toner.